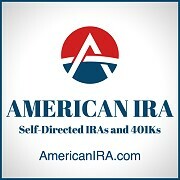 American IRA, LLC was established in 2004 by James C. Hitt in Asheville, NC. The mission of American IRA is to provide the highest level of customer service in the self directed retirement industry. Mr. Hitt and his team have grown the company to over $250 million in assets under administration by educating the public that their retirement account can invest in a variety of assets such as real estate, private lending, limited liability companies, precious metals and much more! We have a knowledgeable Staff ready to answer your questions. As an IRA administrator we are a neutral third party. We do not make any recommendations to any person or entity associated with investments of any type (including financial representatives, investment promoters or companies, or employees, agents or representatives associated with these firms). We are not responsible for and are not bound by any statements, representations, warranties or agreements made by any such person or entity and do not provide any recommendation on the quality profitability or reputability of any investment, individual or company. The terms “we” and “us” refer to American IRA, located in Asheville, NC.